I received complimentary products to provide this review. All opinions are our own. I love animals. Who doesn't? And so do my kiddos. I recently shared my furbabies' story of how he is dealing with illness. 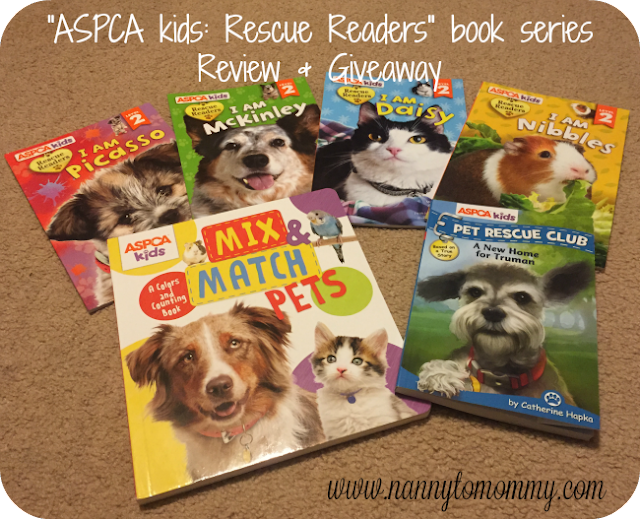 Last year, my daughter and son received ASPCA rescue pets and this year I am excited to share with them tales of inspiration that are feature in the new book series "ASPCA kids: Rescue Readers". Studio Fun International, a Reader's Digest company, has partnered with the American Society for the Prevention of Cruelty to Animals (ASPCA®), the first animal welfare organization in North American and the nation's leading voice for animals. With more than two million supporters strong, the ASPCA's mission is to provide effective means for the prevention of cruelty to animals throughout the United States. As a 501(c)(3) not-for-profit organization, the ASPCA is a national leader in the areas of anti-cruelty, community outreach, and animal health services. Studio Fun International has partnered with ASPCA to create the educational ASPCA kids: Rescue Readers book series. These heartwarming and humorous tales from the pet’s point of view will help teach your child the importance of animal care, protection, and love. For every book sold, 4–5 percent of the purchase price goes directly to the ASPCA to help continue it's mission. 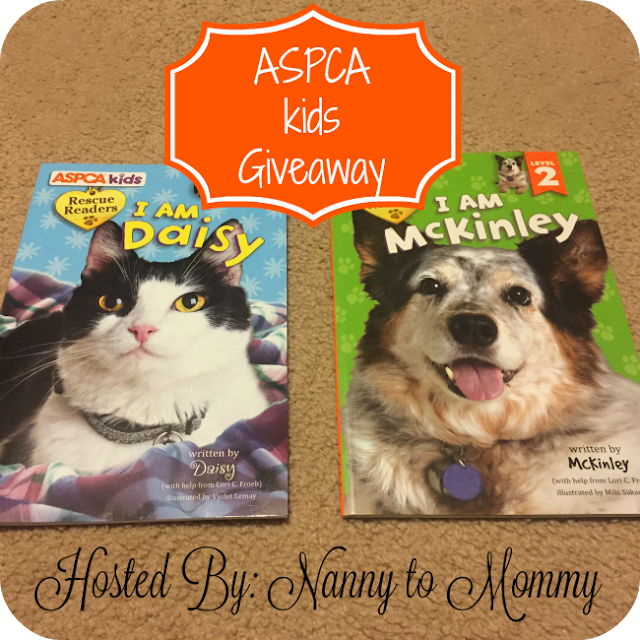 One lucky winner will a two ASPCA kids books from the series. Entry is simple, just follow the prompts on the Rafflecopter below. Open to US only, must be 18+ to enter. Winner chosen via Random.org through Rafflecopter. All winning entries are verified. Please follow us on Facebook to stay up to date with our current giveaways. Check out other featured products in our Holiday Gift Guide and Good luck! I received this product for free from the sponsor of the Moms Meet program, May Media Group LLC, who received it directly from the manufacturer. As a Moms Meet blogger, I agree to use this product and post my opinion on my blog. My opinions do not necessarily reflect the opinions of May Media Group LLC or the manufacturer of this product. This giveaway is open to US only, must be 18+ to enter. One entry per household/IP address. No social media was involved in this giveaway in any way. Winner is chosen via Random.org through Rafflecopter. ALL winning entries ARE verified. Winner will have 48 hours to respond with all information in email or another winner will be chosen. If you would like to see your product featured in our Holiday Gift Guide or sponsor a giveaway event, please contact us. My daughter loves animals and although these books a a little young for her I am sure she would love to read them with my niece and nephew. 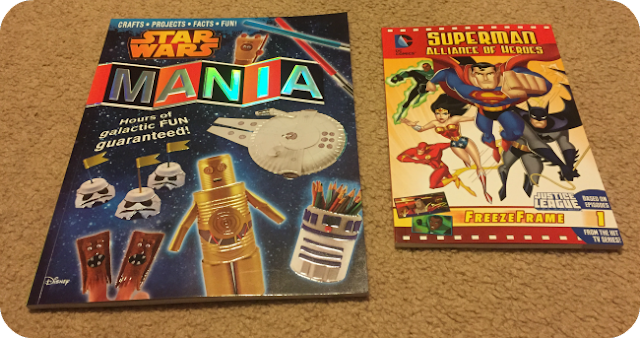 I have a 5 yr old and a 2 yr old I think would be interested in the stories. They both love animals. Thanks. Animal stories is what makes me want to give this as a gift to the grandkids! I love that they are from the ASPCA!!! A cause we should all support!! We are big supporters of the ASPCA and I love the idea of starting my son out early with great stories from a cause we believe in. I would love to win this to give to my nephew! He loves reading and looking at pictures of animals! I would gift these to my little nephew his mom works at a Vets office and they love animals.